grass roots site. click image. 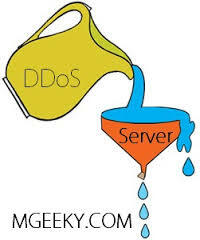 There are groups of sad individuals in Russia, China, Brazil, USA, eastern Europe, who have nothing better to do than to send millions of messages to Internet servers and cause them to become inoperable because of overload. My server company is comparatively small, Besthost, and I’ve been dealing with them now for the best part of 20 years. Apart from the DDoS overload, hesitation of writing to your hard disc can be lack of RAM (8Gb recommended with Windows 7). Another factor is the complexity of software in the particular program you are working through or other programmes running at the same time. For example WORD is more complex than WordPad, blessedly free of HTML content. One of the biggest industries in the world is making money by scams, selling address lists, and generally causing mayhem*. The 911 scams originating from Nigeria seem to have died out now but there are some far more insidious for example asking you to open a link which apparently comes from your bank or telling people that your order is about to be delivered, ‘click here for details’. Malicious code is then imported which hijacks your machine which is then used for sending mail to others and infecting their computers as well. * Mayhem refers to the gruesome crime of deliberately causing an injury that permanently disfigures another. The name derives via Middle English from the Anglo-French verb maheimer (“to maim”) and is probably of Germanic origin; our own verb “to maim” comes from the same ancestor. My brother-in-law trustingly followed the instructions of someone who was supposed to be from Microsoft. The operator told him that there was a serious fault in his computer and it needed to be dealt with. My bro-in-law gave over the control of the computer to the operator and was going to receive a bill to unlock it. Fortunately, someone else intervened and by some magic disinfected the computer. It could have been ‘restore to an earlier time’ for all I know. These operatives are obviously highly intelligent, so why don’t they use their skill for making money legitimately. I suppose we could ask the same of highwaymen, or Robin Hood who robbed the rich for the sake of the poor. 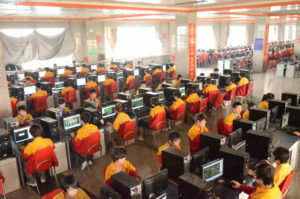 In China, hacking is regarded as just a 9-to-5 job. You will be shocked to read this article about hacking which happens on a positively industrial scale. Individuals flaunt their talents to break into other systems at trade shows. This whole semi-rant above may explain why some of you had difficulty getting through to my site which was down for at least a couple of hours and may well come down again. I imagine that Samuel Pepys is a caring and conscientious person. When I worked in London with a small team of gardeners and regarded it as my duty to supply them with breakfast and lunch on jobs which lasted the whole day. It is easier to do this in London where there is more money around and you can charge a bit more for work. I can say to any employer, and that includes employing me or anyone else, that you will get a far better service if you treat people as human beings and look after their needs for example offering tea or coffee is always appreciated. I find that if someone is nice to me I will go the extra mile. I find that working for people who are dissociated from me is actually draining of energy and I’d do the job to the minimum required for a professional standard and leave as quickly as possible. The type of client that I like most of all those who take an interest in you, share something of their lives, without being nosy or judgemental in anyway. New customers inquiring on the phone should know that we listen very carefully to the tone of their voice and if they sound bossy we will think of reasons why we are too busy to assist. Yesterday someone spoke to me who would not even give me their own name but the name of their partner for whom the job needed to be done. You could hear from her voice quite clearly the sentiment “oh dear, why do I have to deal with these lowly types of people”. We listen to every dot and comma not because we’re judgemental but because we have to defend ourselves against time wasters of whom there are many. I responded mechanically and politely to her but I know I will not hear from her again. When I am turned down for a job it is not ‘me’ that’s been turned down; it is the price that for some reason is not right, a lack of understanding of what is involved cost was timewise, or a simplechange of mind. Some potential customers expect us to work for £10 an hour because 15 years ago someone worked with them for that sum. They do not realise that taking all expenses into account we would be working for less than the national minimum wage. Sometimes people don’t know what they want until they ask someone to come round and have a look and I’ve heard people say that ‘we have decided to do it ourselves’, or ‘we’ve decided to ask a friend’. Now this I don’t mind because I have been of assistance in helping people to make up their mind. That was not a waste of time. I have done the same thing myself as a purchaser quite a few times, going into a shop and asking questions. The problem is that the high Street is suffering at the moment because people go into the shop and get all the information they need to make a purchase and then buy the same thing on the Internet for 10% cheaper. To sum up: for the benefit of anyone who is reading this who engages people, treat us as human beings and as individuals and you will get far more for your money and will gain a loyal worker that you can call on another occasion. Useless fact of the day: the surface area of the sun is 12,000 times larger than the surface area of the Earth.